We would like to invite you to consider submitting a chapter proposal for Academic Library Services for Graduate Students: Supporting Future Academics and Professionals, to be published by Libraries Unlimited. As more and more students attend graduate programs, either at the master’s or doctoral level, many higher education institutions have established professional development programs to help ensure that graduate students learn the wide range of skills needed to be successful as both students and as future professionals or academics. The editors of this volume invite contributors to propose case studies and theoretical essays on academic library services for graduate students that support their multiple roles and identities as students, and as future faculty members or professionals, as well as addressing the complex social and emotional issues related to their other roles as parents, working adults, caretakers, and more. We hope you will consider this opportunity! The EDUCAUSE Learning Initiative (ELI) is a community of higher education institutions and organizations committed to advancing learning through IT innovation. The ELI Annual Meeting provides an opportunity for those interested in learning, learning principles and practices, and learning technologies to explore, network, and share. Find more information about the ELI mission and philosophy here. What learning spaces and environments best promote active learning? The strategic use of information technology has the ability to transform teaching and learning, helping institutions realize EDUCAUSE’s mission to advance higher education through the use of information technology. The following tracks include the best ways to navigate the learning horizons. Proposals that clearly describe innovative and creative work will receive the highest priority in the selection process. The ELI proposal reviewers will closely examine and rate each proposed session’s learning objectives, which should clearly describe what participants will know or be able to do as a result of participating in the session. A successful proposal must also include the specific and creative ways in which the presenter(s) will engage with participants through active learning strategies. ELI encourages innovative and participatory session design, the creative use of technology, and active engagement by all participants. All ELI Annual Meeting sessions will be conducted face-to-face in the meeting venue. Preconference workshops will be held Tuesday, February 19, from 8:00 to 11:00 a.m. (PT), face-to-face, in Anaheim, California. Up to two presenters from each seminar will be provided with a full complimentary registration to the annual meeting. Preconference workshops are intended to provide attendees with significant assistance in addressing their needs and opportunities to navigate the learning horizons. If you have questions, please contact the speaker liaison. Please note that your presentation session proposal will be carefully evaluated and may be accepted for any of the following formats below, depending on the scope of content and engagement strategies proposed. If you have questions, please contact the speaker liaison. Interactive Presentation: Interactive presentations are opportunities to present in detail on a project, idea, or experience while enabling audience participation. These sessions require continuous engagement tactics, interspersed activity tactics, or intensive Q&A tactics. They are scheduled for 45 minutes, and at least 15 minutes of this time should be interactive. Short Presentation Pairs: Presentation pairings include two 15-minute presentations (by different presenters) followed by a 15-minute question/discussion period, for a total of 45 minutes. This is a great way to organize closely related content with two unique perspectives. When you submit your proposal, you can suggest that your solo presentation be paired by the ELI Annual Meeting Program Team or you can coordinate with colleagues to suggest your paired team. Final pairings will be determined by ELI, based on proposal content. These highly visible sessions highlight pioneering practices by giving institutions a spotlighted venue with condensed presentation time. Please note these are not poster sessions. Hands-On Workshop: Workshops are 45-minute sessions where participants experience technology or pedagogical practices firsthand. Note that these are not presentation sessions—they are activity sessions. Session descriptions should clearly indicate how presenters will guide a hands-on, tutorial-like experience using applications and resources. Participants are asked to bring a mobile device (e.g., smartphone, tablet, laptop) to the session in order to fully participate and to experience an emerging, innovative technology or practice. Hands-on workshops, by virtue of their robust interactive learning design, will have priority consideration for the active learning space (designed by Steelcase Education). Presenters are responsible for providing any additional technologies needed to ensure an engaging hands-on experience. Discussion Circle: This is ELI’s version of an unstructured, topic-driven discussion, somewhat like a conceptual jam session. The Discussion Circle is a way to engage with colleagues seeking common solutions to today’s greatest challenges on the learning horizon. Eschewing any presentation, discussion circle hosts facilitate conversations in small, intimate settings, allowing participants to take a deep dive into a pressing issue the community is tackling and for which the resolution is not obvious. These 45-minute sessions are highly interactive and provide a unique learning and bonding opportunity. Posters: Posters give participants and presenters the opportunity to share and examine problems, issues, and solutions in a more casual, personal environment through informal, interactive, brief presentations focused on effective practices, research findings, or technical solutions. The standard setup for a poster includes a 6′-foot skirted table, wireless internet access, and boards. Posters are allocated 45 minutes of action, with ample time for setup and breakdown. Please take a moment to view this 5-minute video on how to write an effective proposal. Following the tips in this video will increase the likelihood of your proposal being selected. SITE 2019 is the 30th annual conference of the Society for Information Technology and Teacher Education. This society represents individual teacher educators and affiliated organizations of teacher educators in all disciplines, who are interested in the creation and dissemination of knowledge about the use of information technology in teacher education and faculty/staff development. SITE is unique as the only organization which has as its sole focus the integration of instructional technologies into teacher education programs. SITE promotes the development and dissemination of theoretical knowledge, conceptual research, and professional practice knowledge through conferences, books, projects, and the Journal of Technology and Teacher Education (JTATE). You are invited to attend and participate in this annual international forum which offer numerous opportunities to share your ideas, explore the research, development, and applications, and to network with the leaders in this important field of teacher education and technology. There are over 800 presentations in 25 major topic areas! The Conference Review Policy requires that each proposal will be peer- reviewed by three reviewers for inclusion in the conference program, and conference proceedings. SITE is the premiere international conference in this field and annually attracts more than 1,300 leaders in the field from over 60 countries. This program seeks to provide insight into the activism and advocacy work being done in libraries in higher education across the Delaware Valley region. In times of inequity, discrimination, and social injustice, libraries have the opportunity to be institutions of resistance, understanding, and hope. We are bringing together librarians who would like to share how they have incorporated democracy, equity, intellectual freedom, and privacy into their projects and collaborations to advocate for their communities. Successful proposals will demonstrate an analysis of the underlying power structures that motivate their efforts. Whether your advocacy work takes the form of outreach projects, pedagogical techniques, systems or application development, cataloging practice, or collaborative projects, we would like to give you the opportunity to share your work and its impact with colleagues. The deadline to submit is September 10 with notification by September 15, 2018.
b. Option B – 10-minute lightning round presentation and roundtable facilitation. LRRT is now accepting proposals for programs for the 2019 ALA Annual Conference. Research-related presentations of all kinds are encouraged. This CFP is in addition to the competitive 2019 LRRT Research Forum which will be open later this fall. For more information, please contact Jen Sweeney at jksweeney572@gmail.com. Student wellness, particularly mental health, is emerging as a key issue in higher education. Academic libraries play an essential role in supporting teaching and student learning and are therefore well situated to play a key role in promoting and fostering student wellness. This edited volume will present case studies that describe successful and innovative approaches in library programming to promote student wellness, as well as research assessing the impact of library wellness initiatives. · Innovative student wellness initiatives with an emphasis on programs that have been assessed. · Partnerships with other campus student service providers or student groups. · Education and training initiatives for library staff to help them recognize students in distress. · The development of spaces in the library to support student wellness (e.g., meditation spaces). · current CVs for all authors. Chapters should be unique to this publication – no previously published or simultaneously submitted materials should be included. Authors of accepted proposals will be asked to write a chapter within the range of 6,000 – 9,000 words (including references). Proposals and inquiries should be emailed to Amber Lannon (amber.lannon@carleton.ca) and Sara Holder (shholder@gmail.com) by August 15, 2018. Editors will respond to proposals by September 15, 2018. Full chapter drafts will be due by January 15, 2019. Amber Lannon is the Associate University Library for Academic Services at Carleton University (Ottawa, Canada). She has authored journal articles, and has authored, edited, and contributed to monographs (ACRL, Chandos Series, Scarecrow). She is active in ALA and is a reviewer for EBLIP. 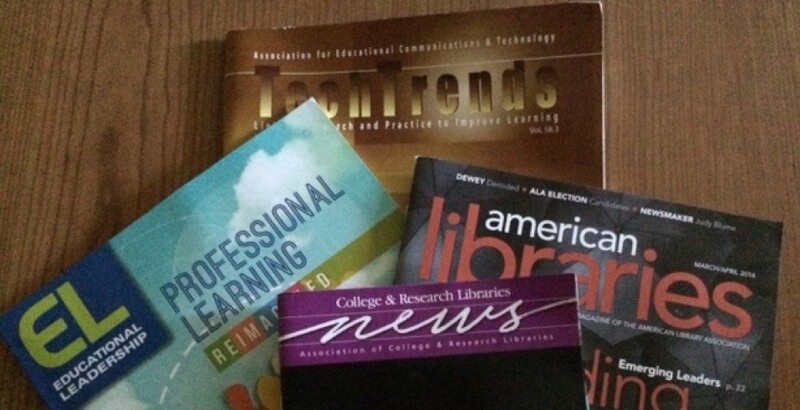 A Special Issue of Library Trends. From the unspoken emotional depth of our conversations at the reference desk, to the ambient politics of our spaces, to our engagement with public memory and knowledge production, affect fundamentally undergirds everyday life in the library. The editors of this special issue contend that the theoretical framework afforded by the “affective turn” can provide a sharp tool and generative language for naming, attending to and interrogating so much of what is alive beneath the surface in our work. represents more than just making affects, emotions and feelings legitimate objects of scholarly inquiry. … At their core, definitions of affect understand it as a force that creates a relationship (conscious or otherwise) between a body (individual or collective) and the world (10). She goes on to argue that affect is a socially, culturally and historically constructed category. As a theoretical framework, affect, she says, can provide a space to think about the interrelations between the psychic, the body and the social (10). Affective forces are crucial to our sense of place in the world, and affect is key to to the ways in which power is “constituted, circulated and mobilized”(Cifor 10). Archives were a logical starting point for theorizing affect in the broad context of LIS. The emotional complexity of memory, of nostalgia, and history are pronounced in the archive. Libraries, however, remain under-theorized in the literature. This issue of Library Trends extends this new form of cultural criticism to libraries and library workers specifically. Working with Cifor’s definition, we might ask: how are libraries and librarians also attached to, or caught inside, affective forces? Libraries are (often) more open and chaotic places than are archives. The web of affect in a library, therefore, has different stakes than in archives. Affect provides a lens on so much that is invisible – white supremacy, politics of gender and sexuality, complex class dynamics, invisible labor, collective fantasies of knowledge and order – and making space to explore it can perform useful work in our field, bringing to the fore that which is sometimes obscured in our day to day practice and professional discourse. More broadly, in “Strange Circulations: Affect and the Library,” we also hope to make a new intervention in wider interdisciplinary conversations regarding the affective register of myriad nodes of work, life and knowledge production. The following is a list of possible themes that we hope might provoke writers to share their work with us. Our hope is that authors tie a clearly articulated theory of affect to a vision of librarianship, particularly one that doesn’t lose sight of the material and historical consequences of our work. This list is not meant to be exhaustive or prescriptive. Ideally we would have a range of articles across most fields and sectors of librarianship. Affective flow and the architecture and design of libraries. Abstracts and proposals should be no more than 500 words. Please include a brief author biography with contact details as well. Proposals due: September 1st, 2018. First Draft due: January 7th 2019. Cifor, Marika. “Affecting Relations: Introducing Affect Theory to Archival Discourse.” Archival Science, vol. 16, no. 1, Mar. 2016, pp. 7–31. link.springer.com, doi:10.1007/s10502-015-9261-5. Does your institution have students hired to work in collaborative partnerships, like in a learning commons or at a shared service point with non-library partners? Are they cross-trained? Do you split the cost of their salary between the partners? Do you hold interviews for these openings utilizing representatives from all partners? Are you creating annual goals for these collaborations and assessing them? If your library is doing one or more of these points, then I’d love to hear from you. I am seeking case studies of libraries that employee students in their partnerships to be included in the upcoming book, Sharing Spaces and Students: Employing Students in Collaborative Partnerships, recently accepted by ACRL for publication. As learning commons and campus partnerships continue to grow and become more widespread across college and university campuses, it is important to look at how libraries hire and train students to work in these collaborative areas. Will each group hire and train their own sets of students for their respective areas? Or is it feasible to work together to hire and train students who work solely in these partnerships? This book focuses on the process of hiring and training students in collaborative partnerships, as well as the impact of the history of library partnerships and importance of developing annual goals and assessments. Using real world examples, this book will help you prepare to hire and train your own students, from creating contracts to developing interview questions to coming up with the training topics that can best help students succeed in this position and in their future careers. If you have any questions or suggestions, please reach out to me at hjackson1@tulane.edu. libraries and librarians can make in student engagement and learning. Please share this call with any of your colleagues who may be interested. “The International Educational Technology Conference (IETC)” is an international educational activity for academics, teachers and educators. IETC promotes development and dissemination of theoretical knowledge, conceptual research, and professional knowledge through conference activities, journals (TOJET, TOJNED and TOJDEL) and proceeding books. Its focus is on sharing, creating and disseminating knowledge among academicians, school administrators and teachers about the use of instructional technology for learning and teaching in educational field. This conference is now a well-known educational technology event worldwide and the number of paper submissions and attendees are increasing every year. We would like you to welcome to present your academic work in IETC 2018 and share your knowledge and experiences with us.